A fun, concentration-style game for kids. A game of memory is a classic 'concentration' style game where children try to match tiles consisting of different kinds of foods. Flip over two matching tiles and they disappear. If the tiles don t match, they turn back over, so remember what you ve seen, because you might need it again later. Hours of fun pictures and noises that will exercise your child s memory, as well as logical skills. 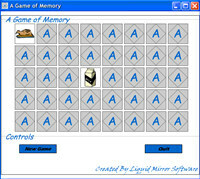 A Game of Memory is a program that works under windows xp, . Estimated download time for A Game of Memory on a common adsl connection is less than a minute. 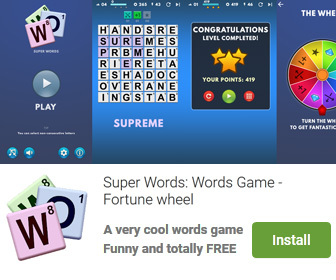 Version 1.0 was released five thousand eight hundred ninety eight days ago by Liquid Mirror Software. Click the green download button to download it now.